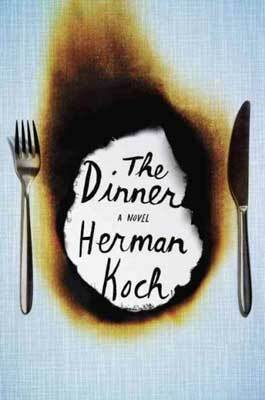 The Dinner, a European bestseller, was originally published in 2009, has recently been translated from the Dutch by Sam Garrett and released in the US. The novel has not enjoyed the same popularity in America, principally because it commits the cardinal sin of not having any likeable characters. But if you go in forewarned and willing to absolve Koch of this transgression, the book is worth the steady, hard look it gives a number of unpleasant topics we’d rather not discuss, particularly over a good meal. I also highly recommend experiencing this work in the audiobook form, read by Clive Mantle whose oily voice sounds a great deal like Boris Karloff narrating The Grinch. Trés à propos, as our main character, Paul Lohman definitely has a heart at least two sizes too small. The story is presented from Paul’s perspective and takes place primarily during a multi-course meal at a pretentious, overpriced restaurant, with a few interjected flashbacks. Paul is dining with his wife, brother, and sister-in-law and we gradually learn, course by course, that they are there to discuss what to do about their sons, who have been involved in the manslaughter of a homeless person they found sleeping in an ATM cubicle. Mostly though, they spend the evening avoiding the discussion, and it is not until well into dessert that the subject is really broached with any clarity. We have, however, gotten to know our narrator Paul, who at first strikes one as a slightly harsh, critically analytical individual, but later can only be described as a sociopath with a substantial varnish of nihilism. The disturbing aspect of this is how long it takes us to realize the extent of Paul’s deviation from social empathic norms. Koch has presented in this fable a moral of the difficulties of recognizing aberrant behavior even in one’s own children and the near impossibility of seeing it in neighbors or co-workers. The most interesting concept in the story is this study of how the human psyche acclimates to difficulties slowly, like a reluctant swimmer gradually toeing into cold water. When do we first, subconsciously, notice something amiss? When do we admit, to ourselves alone, that things are definitely wrong? And when do we finally drop the social filters and begin to talk of it openly? The lapse of time is nearly always proportional to the import of the matter.